Home automation has increased exponentially over the past few years and more people than ever before are setting up their home security systems in this way. Also known as domotics, home automation refers to the electronic remote control of your household appliances and security system via a cellular phone, tablet or other smart device connected to the internet. The main benefit of home automation is being able to manage several components of your home from literally any location via a connected media device. This offers peace of mind, and an easy way to manage appliances to increase the overall efficiency of your home. Automated home security is able to protect your home against break-ins as well as fires. Whether you're on the job or vacation, it's your instant access on the scene. You could have even more control of your home by alarming and disarming your current alarm system and if you have cameras or motion sensors set up, even monitor movement inside and outside the house. Remotely monitoring your home from your electronic device can really offer you peace of mind. You have the ability to protect your home using a mobile device, limit your electricity usage, and lower your monthly bill, all simply by using home automation. Home automation systems are created using one main controller which connects to several interfaces, hardware and sensors, which all communicate and interact with each other in a controlled method. The main control acts as a computer and connects your internet to the network of sensors and hardware so it can be controlled remotely. The interfaces are the devices you use to control the home automation system, such as smartphones, tablets, computers, and other media devices. Some of the many features available through home automation platforms may include fire and carbon monoxide monitoring, remote lighting control, thermostat control, appliance control, live video surveillance, security cameras, alarm systems, and real-time text and email alerts. The sensors which can be set up to monitor areas in their current state, such as a room with no activity, can be set up to turn a device such as a camera, ventilation, and lights on or off. The alarm system can also use sensors, controllers, and actuators to learn from your preferred settings in the home as conditions change. Even your household appliances can be controlled with home automation. If you have your coffee maker set up to brew every morning at a certain time, you are already on the right path. Other ways to utilize home automation includes a centralized control of security locks and HVAC systems. Think of how much easier life would be if you could control everything about your home with the touch of a button. The prices are the cheapest they have ever been, and these systems have become even easier to set up. 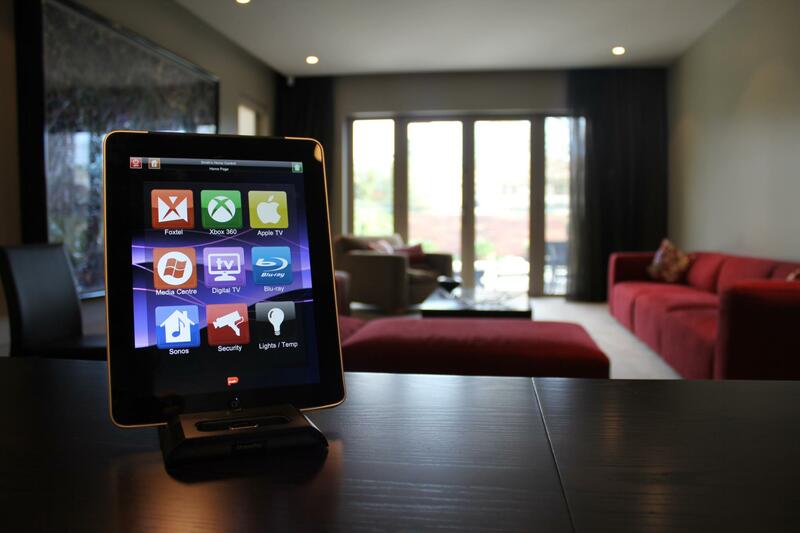 If there ever was a "best time" to get started with your home automation system, it would be now. Imagine how much it would change your life. Simplicity and safety with home automation at the touch of a button.